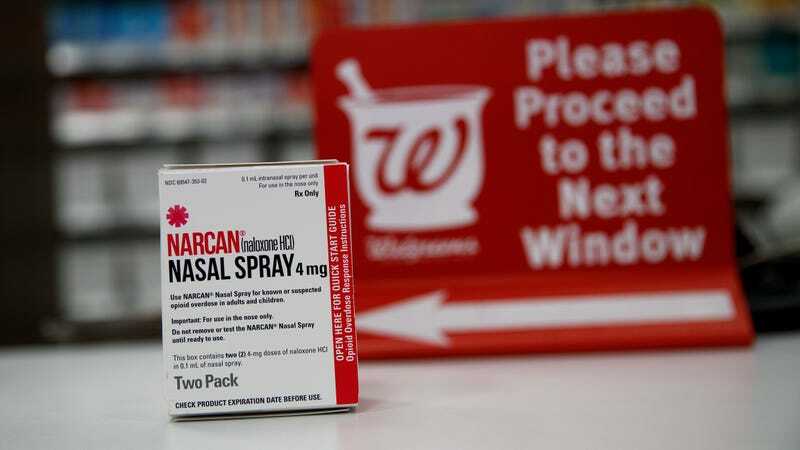 Naloxone nasal spray can reverse opioid overdoses. The study doesn’t delve too much into what these deep drivers could be. But Burke notes some researchers have theorized that people’s growing lack of purpose, loss of community, and economic woes are helping spark a rise in so-called deaths of despair, such as overdoses, suicides, and alcohol-related illnesses. There are likely outside factors, too, such as advancing technology that allows dealers to sell more potent drugs in smaller amounts at lower prices, increasing supply and driving up demand. One clear example of this is fentanyl, a synthetic opioid that has dramatically risen in popularity since it arrived in the U.S. around 2013, smuggled over from China. Fentanyl is both cheaper and more powerful than naturally derived heroin, but it’s also more dangerous. In 2017, fentanyl and similar opioid analogs accounted for nearly half of all opioid overdose deaths, helping make it the deadliest year for overdoses in the U.S. so far. The Centers for Disease Control and Prevention estimates that there were 72,287 drug overdose deaths in the U.S. in 2017, with the majority caused by opioids.